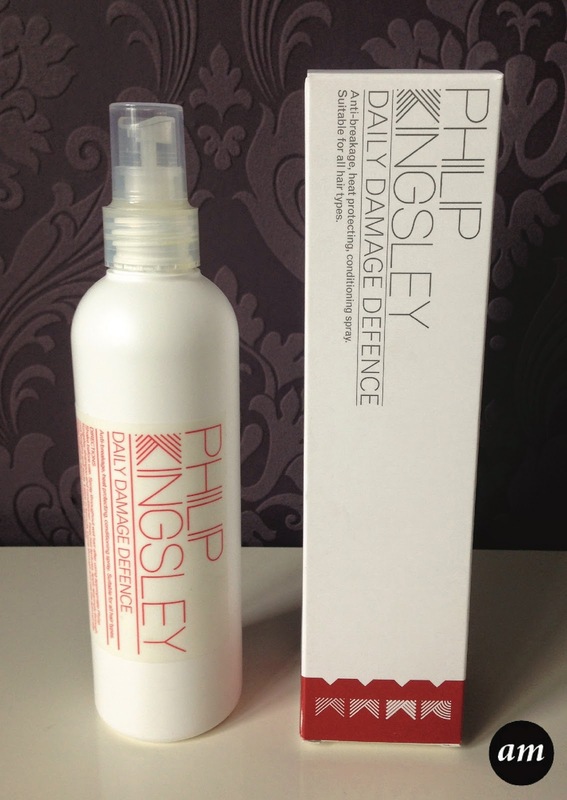 After trying out the Philip Kingsley Elasticizer and absolutely loving it, I thought I would try out the Philip Kingsley Daily Damage Defence. Daily Damage Defence is a leave in conditioning spray that protects your hair from heat styling, breakage and environmental effects. It adds elasticity to the hair, while detangling and adding shine. It is sprayed onto wet hair and then combed through before blowdrying. The spray of the bottle makes the product come out in a very fine mist, which makes the product suitable to use on both fine and thick hair because you can easily control the amount of product going onto your hair. The daily damaged defence doesn't weight your hair down and instead leaves it shiny, smooth and soft. 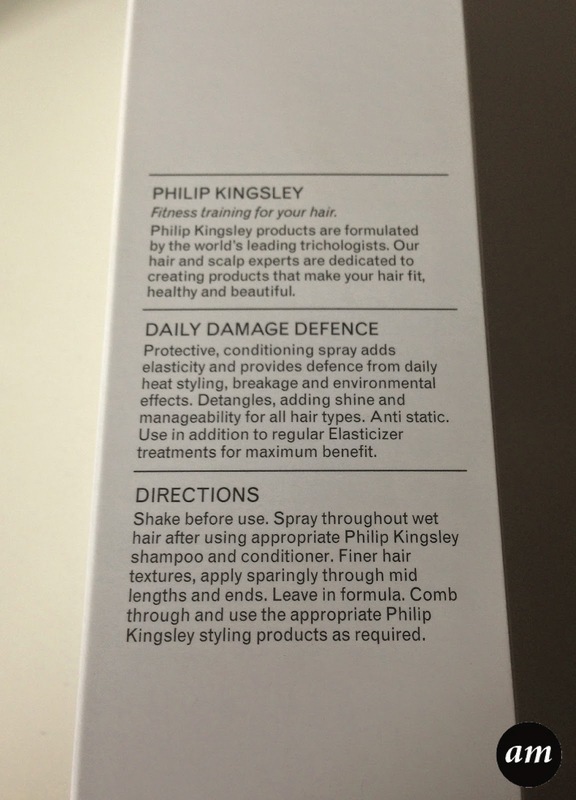 I would defiantly recommend the Philip Kingsley Daily Damage Defence as it is a nice heat protection spray that actually works and keeps your hair nice, safe and healthy. You can purchase it from Look Fantastic for £22. What heat protection do you use on your hair?